“Sir Alexander Ramsay of Dalhousie and Sir William Douglas, Knight of Liddesdale were great military leaders and both men had been brothers in arms in numerous campaigns sharing many victories and accolades. They were outstanding in a brilliant array of valiant knights that thronged the court of King David of Scotland in the 14th Century. Like these great leaders Champion Double Ale is a blend of two strong characters. 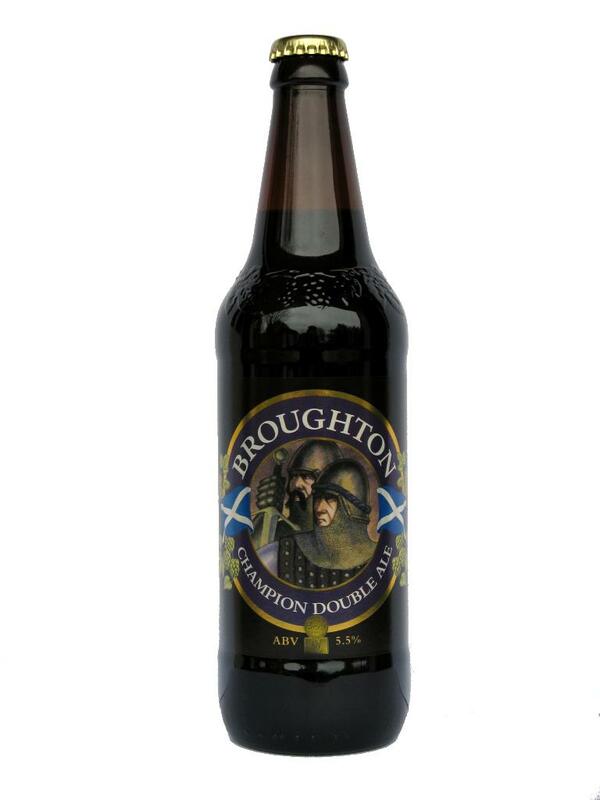 A strong ale brewed in the Scottish tradition, strong, warming and malty, combined with a Porter style ale with rich roasted malt characters on a background of good hop flavour and aroma. Quite strong, with a strong malty taste, maybe with a hint of chocolate (maybe). Made of malted barley. Broughton Ales limited, Broughton Biggar, Scotland. 5.5% alcohol. “For centuries, the soldiers of the Highlands and the Lowlands of Scotland have been familiarly referred to as Jocks – powerful fighting men who have enjoyed strong beers in their off-duty hours. 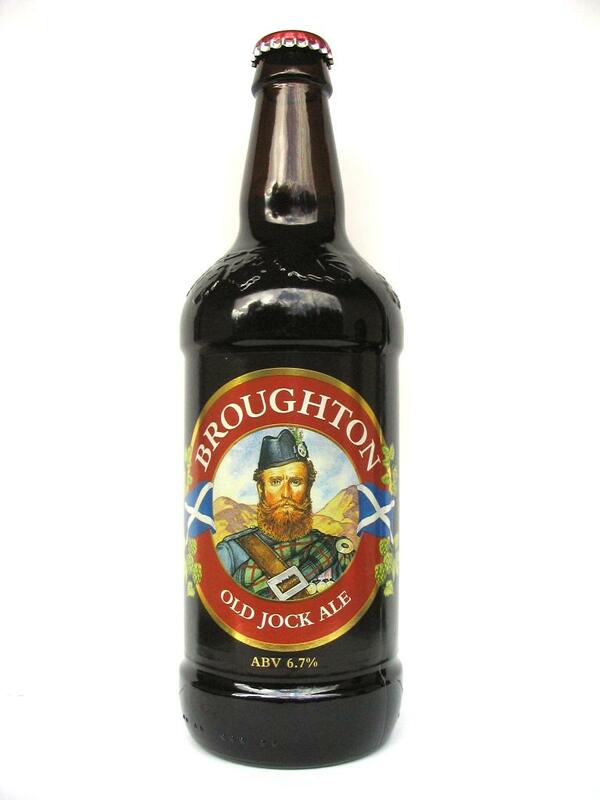 Old Jock is a classic Scottish Strong Ale. Dark and strongly flavoured it should be drunk at room temperature and savoured like a fine wine. Smells slightly like beef stock, but the taste is sweet and the after taste reminds me slightly of chocolate. Made of malted barley. Broughton Ales limited, Broughton Biggar, Scotland. 6.7% alcohol. A malty taste, flowery, with a note of rose, only sightly bitter. The emtpy glass smells of honey. Made of malted barley. 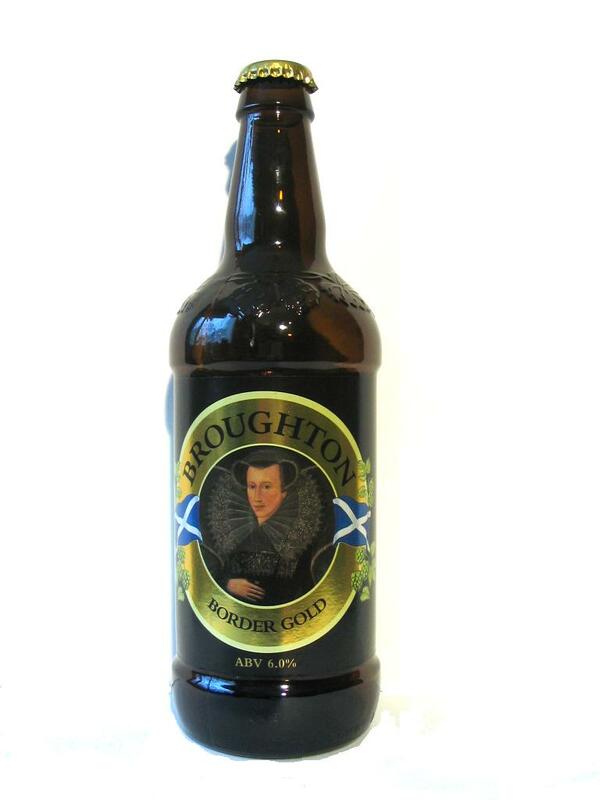 Brougthon Ales Limited, Broughton Biggar, Scotland. 6.0% alcohol.